Manufacturer & Exporter of Ammonia Crackers. 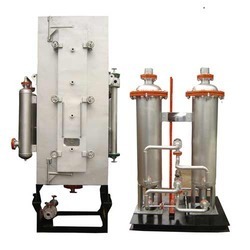 Our product range are Industrial Ammonia Crackers, Ammonia Crackers, Ammonia Cracker Dryers. Creating new benchmarks in the industry as a manufacturer, supplier and exporter, we are engaged in offering Industrial Ammonia Crackers. Manufactured in accordance with the international quality standards, these products are widely demanded across the worldwide market. Post-production, these products are checked thoroughly to ensure high functionality. 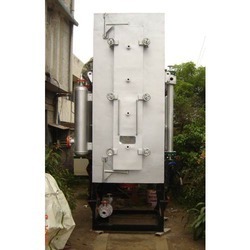 Being a client-centric organization, we are engaged in manufacturing and exporting Ammonia Cracker Dryers. These dryers are manufactured at our state-of-the-art infrastructure facility, which is outfitted with ultra-modern tools and technology. Additionally, quality is never compromised at our premises, which has gained us formidable position across the globe. Meeting the demands of customers as a manufacturer and exporter, we are engaged in offering Ammonia Crackers. To manufacture these products, we have hired a team of dexterous engineers, which incorporates their extensive knowledge to develop the same as per the demands of clients. Moreover, these products are offered by us in different specifications to suit the variegated needs of clients.